Date of Birth: 13 March 1861. Second Lieutenant: 19 September 1890. 2nd Infantry Regiment, 19 September 1890. 2nd Infantry Regiment, 1 May 1894. 2nd Infantry Regiment, 1 June 1894. Brevet Major: 1 March 1900. 2nd Australian Infantry Regiment, 1 March 1900. 2nd Australian Infantry Regiment, 16 April 1904. Lieutenant Colonel: 1 March 1909. 2nd Australian Infantry Regiment, 1 March 1909. 24th Infantry Battalion, 1 July 1912. Unattached List: 1 July 1913. 11th Infantry Brigade, 1 July 1914. 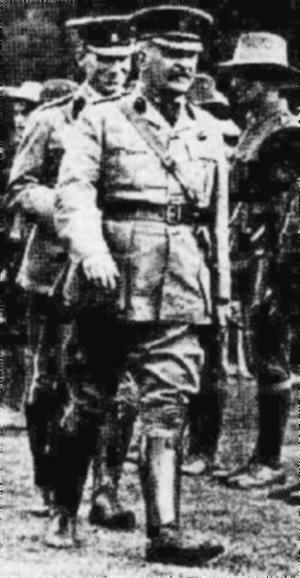 Temporary Brigadier General: 27 November 1917. Inspector General of Administration Headquarters, 27 November 1917. Major General: 25 March 1920.